Global tension and hotspots of conflict continue to intensify in areas around the world. Particularly true in regions such as the Middle East and North Africa (MENA), battles here are often highly unpredictable and asymmetrical in design. In response to such situation, global struggles have seen the growth and need for adaptive armored vehicle fleets. Additionally, global crisis proceeds to muddle the lines of the battlefield. This means that these armored fleets have an obligation to be adaptable and resilient in utility, capable of deploying military force and capacity at any given moment. Deploying “troops on the ground” when and where required guarantees that troops around the world are ready to continue reacting to such perils. Throughout these conflicts, the UAE has been influential in producing armored vehicles that are proficient in securing the movements of such discerning clientele. In fact, the leading military armored vehicle manufacturer in the MENA region has successfully deployed the N35, a multi-role protected vehicle. 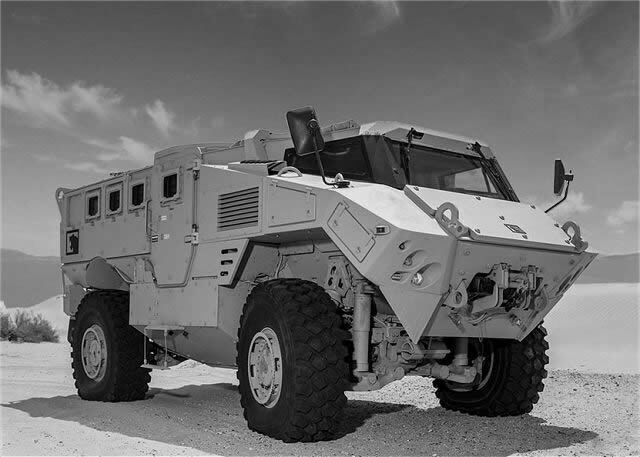 An evolution of Denel Vehicle Systems’ RG35 (now under the full ownership of NIMR), the N35 4×4 and 6×6 are now even more enhanced in design, performance and capabilities. Here, we describe the three top features of the NIMR N35, examining how such defense capabilities improve survivability in response to new threats. The following are just a few of the qualities that guarantee tactical mobility, presenting critical tactical utility on the contemporary battlefield and beyond. A highly mobile 4×4 ballistic and blast protected vehicle, the N35-4 has been designed to operate in the harshest conditions while providing its crew unparalleled comfort and security. The mine-protected motorized infantry vehicle offers a high protection level, power to weight ratio, modularity and payload capacity. The defense abilities of the N35 have seen it surge in demand, winning distinction both locally in the MENA region and globally. Its ability to secure VIP movement throughout hostile environments coupled with its combat-proven technology makes it a compelling offering for NATO member countries. The N35 has a highly protected, modular platform that yields outstanding performance across all territories and in all circumstances. Such design makes it suitable for a broad range of mission specifications. Its optimized internal layout provides seven dismounts seated on individual blast-attenuating seats. The crew can then rapidly deploy via a sizeable power-operated ramp at the rear. This makes it unequaled in its capacity to adjust to various mission conditions and through life cycle costs. Such modular design guarantees the N35 renders localized production and in-situation support wherever it’s needed. Additionally, its flexible architecture supports multiple mission vehicle variants: reconnaissance, patrol and utility versions, and a 6×6 fighting vehicle. The N35 is known for its ability to be fitted with a wide range of weapons and defence options including an array of remote weapon station or two-person turrets. Two of the significant design features of the N35 include its ballistic steel material and a V-shaped mine-protected hull. This monocoque hull is steel-armored and has the capability to be equipped with scalable levels of ballistic, mine blast and IED protection. As the military environment continues to evolve, this vehicle range enables NIMR to address and exceed the wide range of mission requirements around the world. Thanks to the strategic and economic capabilities of Middle Eastern military forces, the N35 proves that they are at the leading edge of advanced ground warfare. Firepower. Survivability. Mobility. This profound shift in advanced military vehicles has been refined to meet the threat of unconventional adversaries. The N35's reputation for versatility, ruggedness, performance and cost-effectiveness increases its demand across military industries and within the global marketplace.